Programmers: protect and defend your Web apps againstattack! 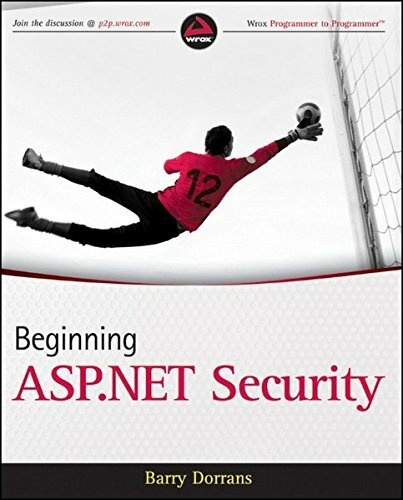 You may know ASP.NET, but if you don't understand how to secureyour applications, you need this book. This vital guide exploresthe often-overlooked topic of teaching programmers how to designASP.NET Web applications so as to prevent online thefts andsecurity breaches. You'll start with a thorough look at ASP.NET 3.5 basics and seehappens when you don't implement security, including someamazing examples. The book then delves into the development of aWeb application, walking you through the vulnerable points at everyphase. Learn to factor security in from the ground up, discover awealth of tips and industry best practices, and explore codelibraries and more resources provided by Microsoft and others. Defend and secure your ASP.NET 3.5 framework Web sites with thismust-have guide.